The Elder law attorneys solid understanding of these issues allows them to better serve the unique needs of older individuals and their loved ones and to access needed benefits and resources. Elder law attorneys are essentially advocates for older individuals and their loved ones. Focusing on the areas of the law that impact people most as they age, these attorneys help with estate planning, wills, trusts, powers of attorney, advance directives for health care, and special needs planning. They preemptively protect people and their loved ones from the uncertainty and chaos that can come from losing capacity or death. They also provide guidance and help bring peace to situations when matters become too difficult to handle. Situations such as when a loved one loses capacity, dies, or has medical and long term care expenses that exceed their own resources. An Elder law attorney will walk you through the complexities of guardianships, conservatorships, probate, trust administration, and assist with Medicaid or veterans’ benefit planning and applications. The Elder law attorneys solid understanding of these issues allows them to better serve the unique needs of older individuals and their loved ones and to access needed benefits and resources. What do all of those terms mean? Estate Planning: Preparing a plan for what will happen to a person and their assets if they lose capacity or die. Will: A legal document dictating who will receive a person’s assets at their death and who will guide those assets through probate. Power of Attorney: A legal agreement that authorizes someone else to manage a person’s assets on their behalf. 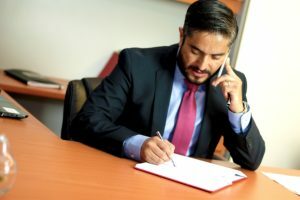 Advance Directive for Health Care: A legal document naming someone to make health care decisions for a person if they are unable to and giving that person instructions. Special Needs Planning: Planning for benefits and other issues that arise when a child or loved one has a disability, can include supplemental needs trusts, ABLE accounts, and other tools to protect and empower. Guardianship/Conservatorship: The court appoints someone to make financial (conservator) or health care and other (guardian) decisions for a person who lacks capacity. Probate: The court process of administering a deceased person’s estate to pay creditors and distribute remaining property. Trust Administration: The private process of administering a trust, frequently after a death as an alternative to probate. Medicaid: The state/federal program responsible for, among other things, helping individuals pay for long term care if they cannot afford it. Veterans’ Benefits: Various benefits available to military veterans to help pay for medical and other costs.